Diagnosis: Both sexes with elytra and pronotum glabrous. Males without mid-prothoracic horn; acute mid-prothoracic tubercle present. Cephalic horn at base on dorsal surface without tooth. Pygidium on disc glabrous. Females with pronotum punctate. Frontoclypeal suture with tubercle on flat surface. Ocular canthus subtriangular with length medially 1.5-2.0 times larger than length distally. Ocular canthus with anterior margin strongly oblique (45º angle from perpendicular). Elytral punctation near base with dense, small punctures mixed with moderately dense, moderately large punctures. 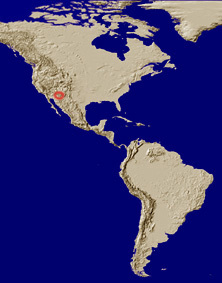 Biological Data: Adults of M. punculatum are found in the deserts of Arizona with shrub cover of mesquite (Prosopis sp., Fabaceae) with the occasional Quercus sp. (Fagaceae), Mimosa sp. (Fabaceae), Platanus sp. (Platanaeae), Celtis sp. (Ulmaceae), Condalia sp. (Rhamnaceae), Lycium sp. (Solanaceae), Agave spp. (Agavaceae), Opuntia spp. (Cactaceae) and “catclaw” (Acacia greggi A. Gray, Mimosaceae) at 1,300-1500 meters in elevation. Male and female adults are attracted to lights (Cartwright 1952; Hardy 1972). Temporal Distribution: July-August (Cartwright 1952; Hardy 1972). Larvae: Ratcliffe and Morón (2005) described the third instar larvae. Cartwright, O.L. 1952. 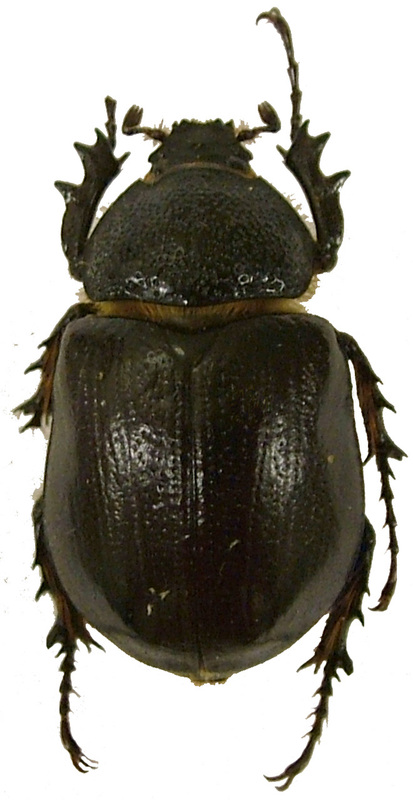 A new Megasoma from Arizona (Coleoptera: Scarabaeidae). Proceedings of the Entomological Society of Washington 54: 36-38. Hardy, A.R. 1972. A brief revision of the North and Central American species of Megasoma (Coleoptera: Scarabaeidae). Canadian Entomologist 104: 765-777. Ratcliffe, B.C. and M.A. Morón. 2005. 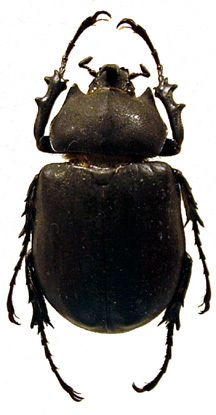 Larval descriptions of eight species of Megasoma Kirby (Coleoptera: Scarabaeidae: Dynastinae) with a key for identification and notes on biology. Coleopterists Bulletin 59: 91-126.